Moko has been making cases for a long time and they’re no doubt one of my favorite case manufacturers. I’ve used their cases for my iPad Mini, Nexus 7 2012, Nexus 7 2013, and more. They’re definitely a company you can trust when it comes to protecting your iPad Air while also keeping it looking slim and stylish. Moko has just shown us its full lineup of iPad Air cases and they’re scheduled to be released early November, so if you haven’t already gotten a case for your iPad Air, then you can check these out below. The Moko iPad Air Smart Case is a stylish case that’s very similar to Apple’s official smart case. The main difference is that this is about 10% of the price. The great thing about the Moko iPad Air Smart Case is that it can be purchased in fourteen different colors ranging from indigo to orange. Also, Moko is very well known for it’s stellar customer service; all cases purchased from Moko have a lifetime warranty which means if anything goes wrong you should have no issues getting in touch with Moko for a refund or new case. The smart case also has a magnet enclosure which means the trifold is actually magnetic like on the official Apple smart case. So despite the low cost of this accessory, it isn’t made cheaply. And of course this does feature the auto wake and sleep function so it’s definitely a great value for the money. 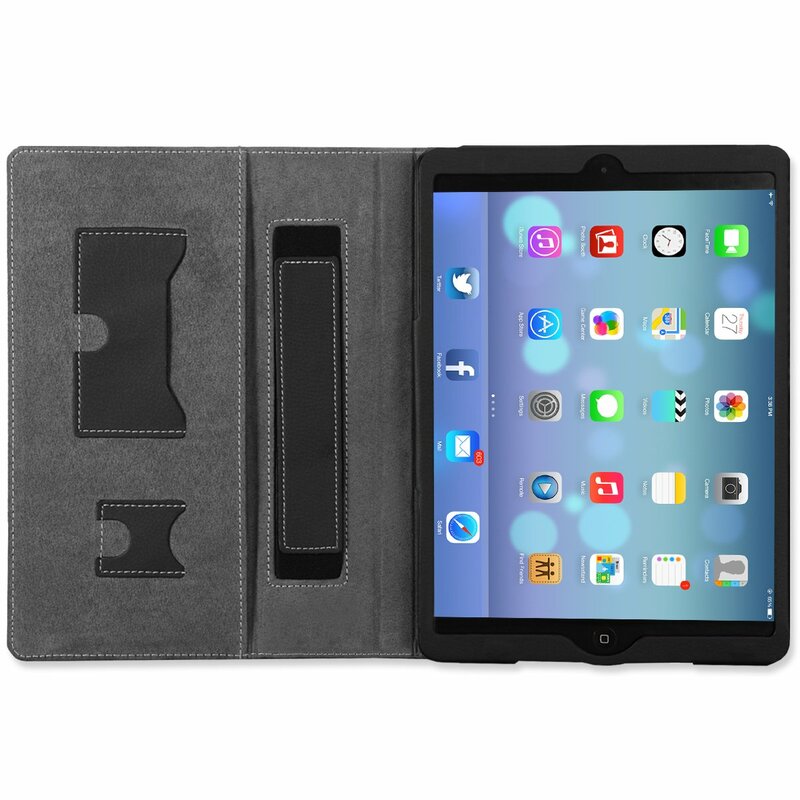 The Moko iPad Air Slim Fit Case is very similar to many other accessories on the market. 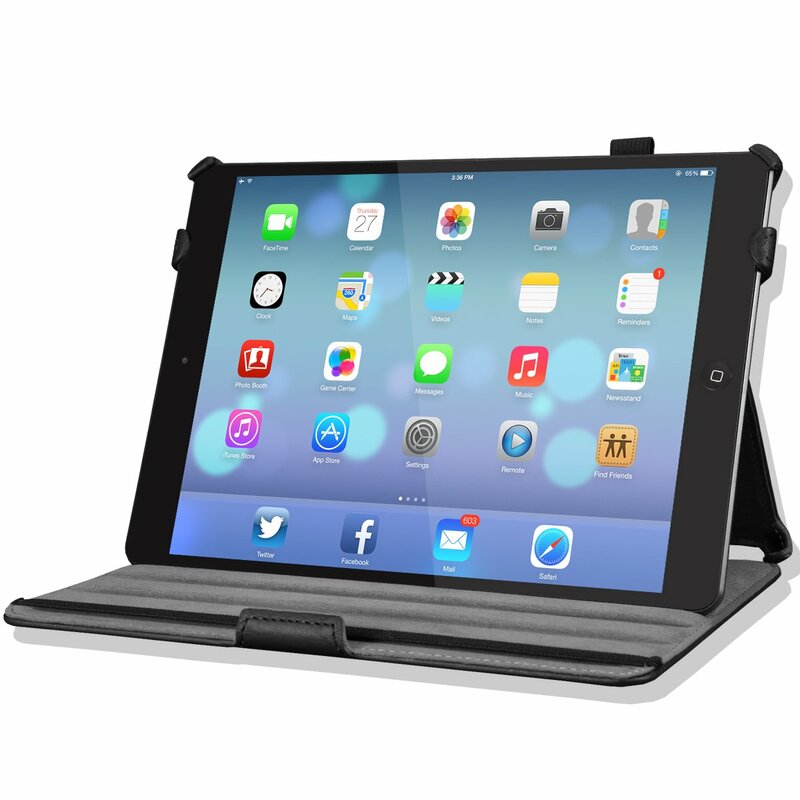 It gives very similar stand functionality that the Moko iPad Air Smart Case does, but it’s more sturdy. I’ve used multiple accessories similar to this and they aren’t anything amazing, but they’re inexpensive and get the job done. I really like how the case gives multiple positions for movie watching angles because sometimes it’s tough to get a good view of the movie you’re watching compared to where the iPad Air is resting. For the price you can’t go wrong with the Moko Slim Fit Case for iPad Air, it comes in fourteen colors and doesn’t really have any drawbacks. However, my personal favorite has to be the smart case, though they both have the pros and cons. 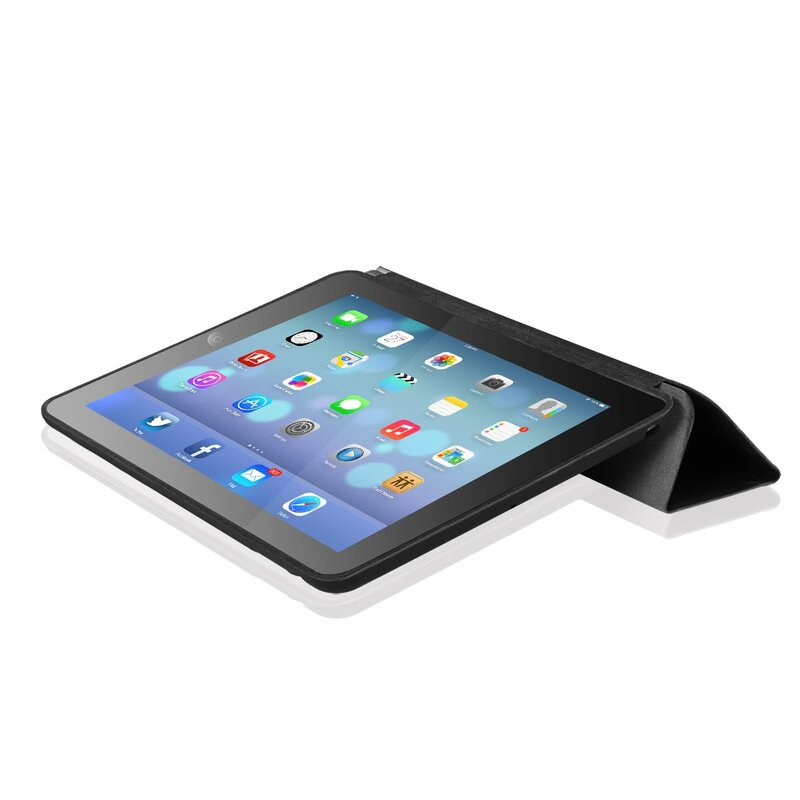 The Moko iPad Air Slim Folding Case is a professional business type case for the iPad Air. The case has a nice true genuine leather finish that looks fantastic and it just looks like it would work great in a business type environment. Of course the Slim Folding Case can be used by anyone, but the premium leather feel and construction just looks very fancy. This case actually also has a little place where you can hold the iPad Air in one hand which is actually really useful. Judging from the images on the product page you may think this thing costs a fortune, but it actually costs under fifteen dollars and is only five dollars at the time of this posting. So essentially what I’m trying to say is that this thing is a great value, which is pretty much a true statement with all of Moko’s products.